I scooped up a very convincing faux sansevieria plant because my skills of killing plants that "can't be killed" have been gravely underestimated. So, with a new dose of greenery that won't expire to add some botanical happiness to our home, I set out looking for some planters to pop this little guy into since the one it came in was bizarrely tiny for its size and height. Sort of like Claudia Schiffer's feet. Anyways, I spotted this seagrass basket trio on Hayneedle and was like "BINGO!". They were the perfect blank slate to add some DIY magic to. 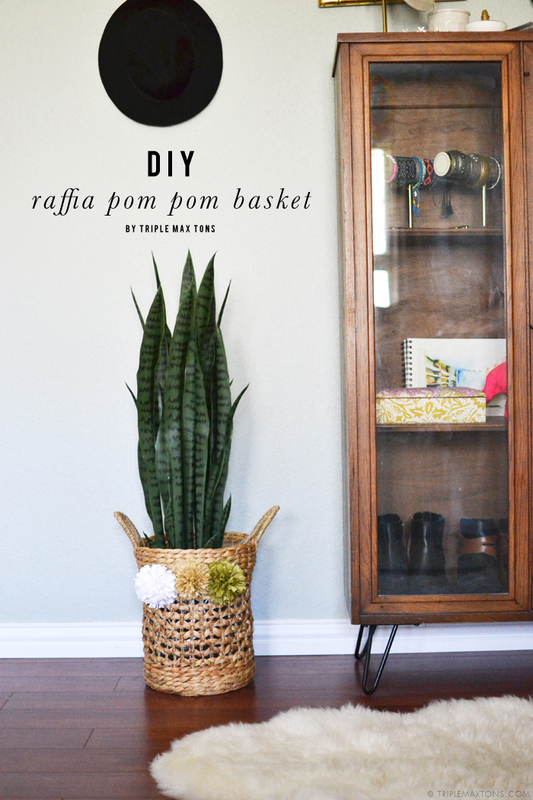 I had a few spools of raffia ribbon sitting in a box from our wedding 6.5 years ago, and figured inviting it to a pom pom party inspired by Eliza Gran's famous baskets would be the perfect way to finally use it up. 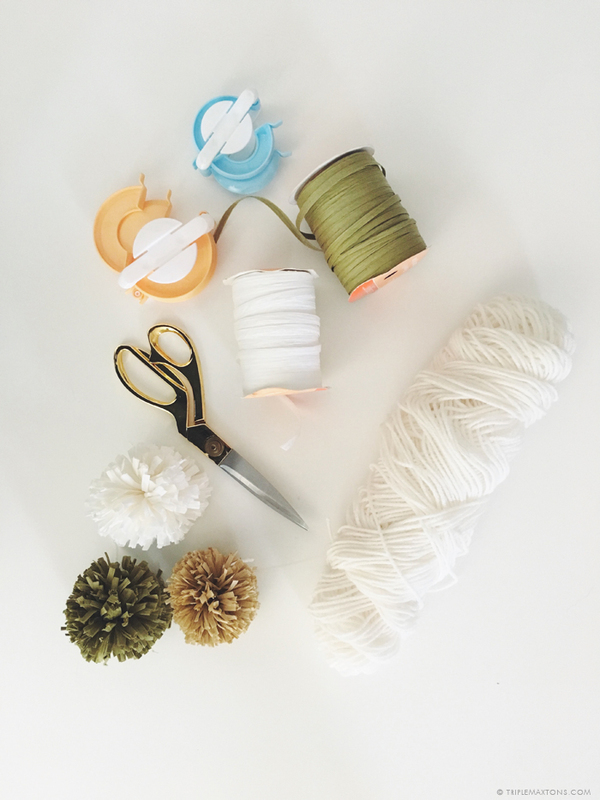 Using the largest size pom pom maker, start winding the raffia ribbon around one side of the curve. Repeat on the other side. Snip the wrapped part in half down the center line. Tie it off with yarn or other strong string, pop the curves off, and pull the discs apart. Add another piece of yarn to make the center even tighter since I found they were still pretty loose when pulling it off the disc. Leave some extra length at the ends so you can tie it onto the basket (or hot glue it on if you want a more permanent option). Voila! I plan on spicing up the larger one with a bunch of tiny pom poms and making a tassel or two to hang from the side, but Lilli was like "eeeeeentertaiiiinnnnn meeeeeeeeeee!" so I only got around to making the large and in charge poms for the planter basket. C'est la vie!